After trying the new map, I have a few things that are missing or should be changed. The new map has a lot of potential, but is still too rough to be considered an improvement. For the same reason, there should be no reason for a 'search this world' button. The filters require too many clicks compared to the old situation. It would be a lot better if it could apply the changes automatically to the map, similar to the old map. The filter view should the default view instead of the list with caches, with the option to switch back to the list. The map is not a replacement for the search feature, so the filters make more sense to me as default. The cache overview should also show the coordinates of the cache, the CO and the date placed. For example event caches do not show the date of the event. The Cache Status and Corrected coordinates filters have some counter-intuitive behavior, which confused me at first use. When no option is selected, it behaves like all options are selected. But when one box is selected, only that filter is shown. This is especially confusing as the type selection does not have this behavior, where if no box is selected nothing will be shown. My suggestion is to change this to the same behavior as the type selection, with a toggle to select or deselect all fields. Too much whitespace in the list view, filter view and cache overview! Yes! Besides the general slowness and lack of ability to handle more than 1000 caches, this is the hardest thing on the new map for me. I love high screen resolutions, and the new map force me to use the mouse (and shift focus) a lot more. This is making the new map hard and strenuous to use. Love that I can switch between geocache map, google street, and google satellite with 1 click. Need OSM opencycle maps though. Be sweet if you can get google street view on there too (even if you aren't showing caches). I like I what to go here - where do I park? Tried several caches. NO blue banner on any of them. How d I get it to try it? If only I could upvote this part 1000 times! The 'Old Map' must remain! Once we’re confident the community is happy with the new map experience, we will work towards retiring the old map. I'm sure the new map will be handled like the updated dashboard and profile pages, Groundspeak has not removed the old versions yet as they are still working on improving the updated versions. From what I can tell, the old map will only be removed after all the current functionality has been ported to the new map. I think this was also mentioned in the Inside HQ podcast, I definitely recommend listening to it if you want to hear more about the map. The new map has a lot of potential, I am using it on a daily basis and it's snappy and has a lot of functionality already. It is still missing some stuff right now (which is totally logical for a beta), but that will undoubtedly be added in a future update. To be realistic, we can’t just have the same map there forever. I'm excited about the development and can't wait for the next update! You say it's snappy. Others say its sluggish. It is slow for me, and those panels on the side are almost as annoying as the fact that a new page doesn't open when I click on a cache. Those are two of my (and a great many others) biggest issues with this new experience. As I mentioned in my response when I opted out of the new map the deletion of the "search by personal cache note" feature is a major mistake. That is where I note challenges that I qualify for or the things I have yet to do to meet a challenge. It is where I store partial solutions or ideas on mystery caches. It is where I put information I have gleaned from reading prior finders logs. There is no other convenient way to keep this information attached to each cache and I often plan puzzle solving evenings and geocaching trips around this data. As it IS a feature of the old search map why get rid of it??? "GC little Helper", which might be wortth looking into. It also gives you additional very useful functions for every day use for geocachers, which the official pages lack. It has been developed by a few German geocachers. see https://geoclub.de/forum/viewtopic.php?f=117&amp;t=80208 for those who read German. One other Question. If the search hits the cache limit, how are the caches selected that are displayed? - 1000 sorted by the current sort filter (i.e. 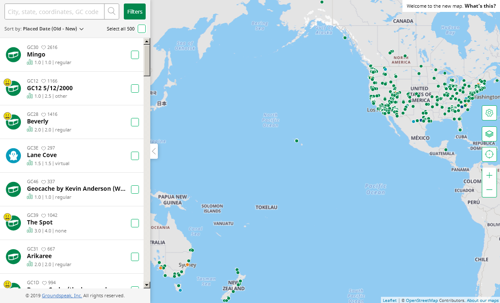 if sorting is by favorites, will the 1000 highest ranked caches in the search area shown)? I'm sure the new map will be handled like the updated dashboard and profile pages, Groundspeak has not removed the old versions yet as they are still working on improving the updated versions. From what I can tell, the old map will only be removed after all the current functionality has been ported to the new map. My fear is that they will handle it like the BBCode vs Markdown in logs. When HQ think they have added all we need, they'll retire the old map. The old map use a rather ingenious trick to be able to show all caches (kudos to the original architect, designers and developers!). There's no way the new map can mimic that functionality, without copying over and using the same trick (which would improve the new map a lot). I think this was also mentioned in the Inside HQ podcast, I definitely recommend listening to it if you want to hear more about the map. Yes it was. I've listened to that episode, and wanted to believe so hard that HQ could change their mind about retiring the old map. I still hope, but fear the worst. The new map has a lot of potential, I am using it on a daily basis and it's snappy and has a lot of functionality already. The new map is slow, and very hard to use. Especially when moving around. Having to click "Search this area" makes it so hard, that I made a user script to click it for me. It is still missing some stuff right now (which is totally logical for a beta), but that will undoubtedly be added in a future update. I'm not arguing against that. What I see as a problem, is the complete lack of acknowledgement of numerous issues that's been talked about since this new map was first mentioned in a release note here. Issues that greatly reduce the usability, but that should have been very easy to fix (I know they are, because I've also fixed some of them with my user script). But this is also a problem with how the new map works, compared to the old. The old use a separate tile layer for the caches, making loading and displaying them really smooth and fast. The new map works in a totally different way, which won't allow the display of many caches. 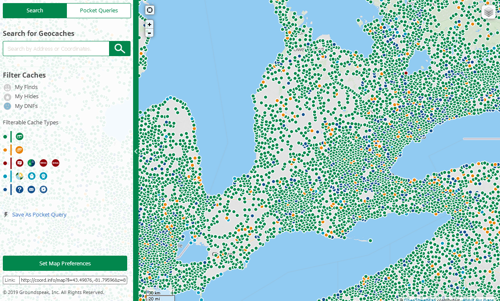 The map is the single most important resource on geocaching.com to me, and the old map here is the only resource where I can view caches all over the world - in one view. That's not possible in the new map, unless HQ change their mind and implement the old tile layer (please, HQ, please!). I do not want to lose functionality I use on a daily basis, and functionality that can't be found elsewhere. On top of this, moving all information to the sidebar makes the map a lot harder to use for me. As mentioned both by myself and others before, it require a focus shift every time a cache is clicked. And I have to use the mouse a lot more (which is not good). To be realistic, we can’t just have the same map there forever. I'm excited about the development and can't wait for the next update! The original thread ("Release Notes (Website: Progressive release, new Search/Map) - September 14, 2018") contained all the issues raised so far in this new thread PLUS a whole lot more. 1. Did GCHQ keep a note of issues / concerns / requests raised in the old thread and continuing to do so in this new thread? 2. Why was the old thread closed? Hopefully not an attempt to sidestep cachers genuine concerns! 3. The same issues come up over and over again, therefore must be legitimate concerns - it would be really helpful and reassuring if users had access to a list of items the developers are working through based on feedback. No one expects instant fixes but we need to know that concerns will be addressed eventually. As there is little feedback here from GCHQ, we have no idea whether or not our feedback is being taken into consideration by the developers. Hmm.. the filters are nice. But I never use the search function but only the map. The search function adds unnecessary steps and if I only want to look into finding a cache in my home zone it's far too annoying to go via 'search'. Thus this functionality in the original map would be great. Here I'd never use it. This is normal in the release notes forum. Old release notes are usually closed when new are opened for the same feature. I guess it's to keep discussion in one place, which makes a lot of sense. It's also very normal for HQ to be very quiet in here. But they say they monitor the feedback, so I hope they do. And I hope they take actions based on it. What am I missing? Both my husband and I on 2 different laptops and 2 different browsers do not see a blue banner to even try the new map?? Thanks for this new map, really good work! The only thing that I'm missing is that I can only filter by maximum favorite points - but favorite % are missing. To me, favorite-% are more important. Maybe you can add this to the filters? Thanks and greets from Switzerland. If I can not get what I want / need / would like from the new search & map format then I would look elsewhere whether it is heresy or not. We are now aware, that the map is coming and we are currently collecting features, what we should implement in the new map. I did not know about this but will be investigating the current version and following progress of the new one. Generally I like the new map and have been using it. Whole heartedly agree with Michaelcycles comments above. Also I have an issue with the 'Sort by' option - the drop down list does not open and I am limited to Distance (Near-Far) only. Is there still the option to search areas by radius? If so, where is it? Please keep the old map. Limiting the number of caches that can appear on the map to 1000 is a step backwards. If there are caches on the map that I am looking at, I want to see them all. I also don't care for combining filters with maps. If I am looking for certain types of caches, once I find one, I still want to see the other caches that are around it. Sorry, but I'll be sticking with the old map, unless there's an change to keep the OSM default map. I want to be able to see all caches on the map, not just those that are in my search filter (although the option to be able to do this is a good idea). I will absolutely be continuing to use the old map unless this is improved. REMINDER: Because there are two directions to approach mapping, and the community is split (even apparent in these comments), a single resource can't appease both. 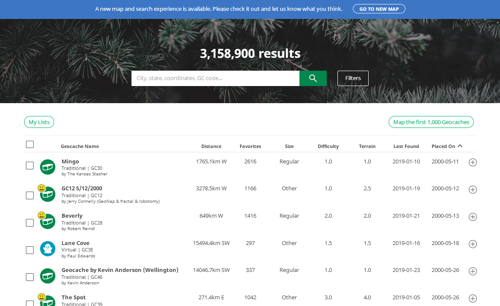 The new map is a SEARCH plotter - it has advanced search filters from the very beginning, and thus cannot display the entire selection of worldwide caches as a dynamic tile layer. 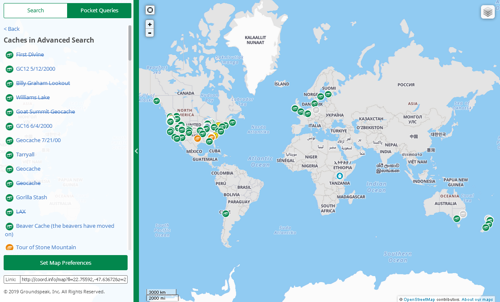 Just as when completing a search you would "map the results", or view a PQ or Bookmarklist query on the map, this map view starts with the idea that you are first searching for a specific set of parameters, the results of which are shown on the map. That necessarily means that there will be a maximum. It also means that the map view will be confusing when doing things like sorting results when there's a maximum number results return. If only 500 of 6000 caches are displayed, then depending on the sort, only the top 500 will show, and that will change when you change the sort. That is especially confusing when searching from a center point, or within a region boundary. One second a cache is there, and another it's not, even though it does match the filter parameters. There is a fundamental difference in the intent and use of the new map that confuses many people because of its presentation. There may be nothing that can be done about that, or maybe there is some kind of intro or instructional guidance that can be presented to help people ease into that functional difference. It's also a reason, again, why the search LIST result view should NOT be retired - that makes more natural sense for a filtered search with a capped result set. When sorted, you see results in a specific order - the sort chosen has maximum visibility. When started from a visual plotting standpoint, the sort order is completely lost and the first instinct is location, which may entirely irrelevant to the result set. It clashes. What if (just a thought) when changing filters, more prominence is placed on the new result LIST in the sidebar than on the map? If attention is first drawn to the list, the brain will natural parse the results that way, then understand that the plotted results are secondary to the search results. The list will drive the view, rather than people expecting to see EVERY possible match automatically on the map? The list view of results should never be removed; but whether it shows on its own page or combined with map will entirely depend on the user's experience and how easy it is to use. And when someone wants the list with more detail presented at once, most likely they don't want the map plotting taking up render time and clogging up the browser use. So how can these two functions coexist? And on top of that, it appears the goal is to have a user interface that will be unfiied for use on a mobile device AND on desktop. To a degree, I can understand why 'open in a new tab' hasn't simply been added as the default. That's not mobile friendly. Perhaps they are struggling to design a way that works simultaneously for both mobile and desktop. Then again, I don't see why they don't add a platform checker to add that functionality only for non-mobile browsers, and some other (yet to be developed?) solution for mobile users (due to "back" possibly playing havoc with filters and map settings since the whole page is reloaded). Point being, this is a BEAST of a website feature. And I fear HQ is trying to do far too much in one single module. All of this is so true! You really hit the nail on the head! Forcing us to use one map to do all, is like using a flat head screwdriver as a universal screwdriver. It can be done, you can use it on Phillips screws, torx etc. But you will damage the screw and sometimes even the screwdriver. Exactly the same will happen here - you will damage the experience for your users. I never use the search feature. I think the only time I've used it, was to test the galactic search you did a couple years ago. I don't need it, and I don't want to be forced to use it. But I do need the browse map to be fast, dependable, able to show me all the caches in the world at once, light on resources (I usually have 80-100+ tabs open) and nonstrenuous to use. The old map is all of that (although it has periods when it's less dependable). The new is not. And I don't think it can be either, because you are doing too much with one tool. The new map has a lot of improvements, that I actually can see myself enjoy using - but only when needing to map a PQ, do more advanced filters or something like that. It does not cover the needs I have for the page I use the most - the browse map (I love that term). And I don't believe it ever can. So please, don't take away the old map! I combine caching with biking and use the current map(s) to easily find bike trails that have caches on them. The "new" map does not display bike trails nor does it display topographical information, both of which we use to plan our caching trips. Google maps may be good enough to get you from point A to point B but a poor choice for geocaching as it is way too limited and has much less detail than the other maps. Your improvements to geocaching sometimes fall short, this "improvement" is one of them. I hope Google paid you well to be the sole map provider to Geocaching.com. You can switch to OpenStreetMap by selecting the "Geocaching" map. This should also be the default on the new map. These discussions have made this conclusion glaringly obvious to me. I'm floored to hear that GS doesn't get it. When they first released the map, some of the ideas were so novel that I thought it was obvious they had themselves come up with the idea of two different maps for two different purposes, so I'm surprised to hear them explicitly say the old map is deprecated. Oh, except it's not just a difference of opinion between members of the community. I'm squarely on both sides. Sometimes I'm browsing, and sometimes I'm searching, so I understand and agree with why people say the new map is bad for browsing, but I also see what GS is trying to do with the new map to improve searching. 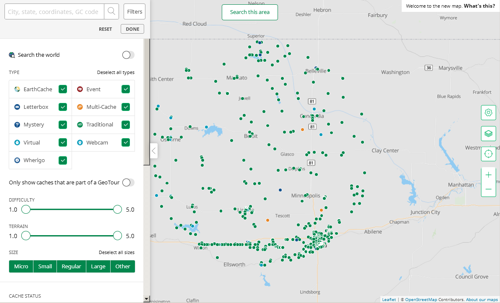 I'm intrigued by the idea of a search map, and although I don't find it terribly useful so far, I'd like to have it around to play with, and for them to continue developing. But I use the map way more for browsing, so if I have to choose between the two, I'll take the old browse oriented map. 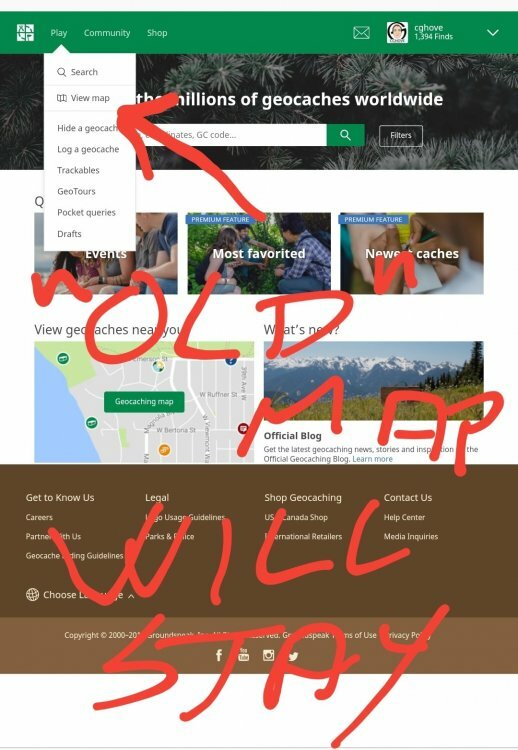 Personally, given the demonstrated shortcomings with trying to squeeze all the necessary information into the sidebar (hint: it can't be done), I'd prefer to see the list in the sidebar stay as-is, and for cache clicks to open a popup within the map area like the old map does rather than display in the sidebar. This popup could maybe be made slightly larger to accommodate a modified set of data compared to before (but still include things like type, D/T, owner, placed date, FPs, etc. ), but still rely on users opening up the listing page to get all the relevant details like the description, attributes, and logs in the necessary context like they do now on the old map. I agree with a number of the issues already identified in this thread and earlier ones. 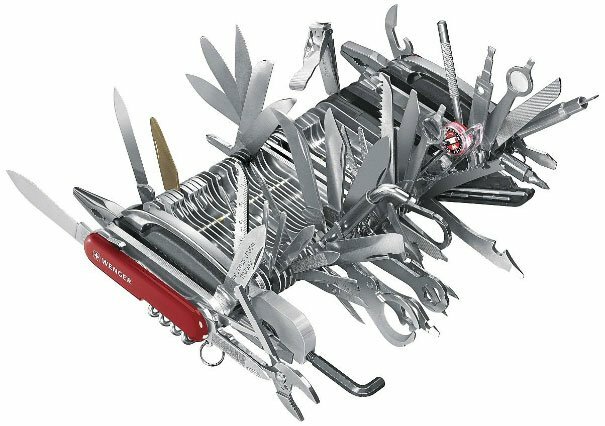 I understand the desire to move to more "modern" and adaptable tools. But, we shouldn't LOSE functionality. The new map does exactly that. The solution quoted above seems to be an example of a perfect compromise: retaining characteristics and FEATURES from the old map (the popups) while updating and ADDING new features (the list). I hope Google paid you well to be the sole map provider to Geocaching.com. Google maps used to be the only maps available. It's when they raised their prices that Groundspeak pursued OSM as the default option. That makes your post pretty ironic, and no, it's probably not the reason. Not really. The default geocaching map does draw from OSM data, but it shows far less detail. For some reason, it's still missing things like airports. Runways show up as streams, or holes in the trees. OSM is just data. And this is how Groundspeak have decided to render that data. The biggest issue is how infrequent it's updated. But a larger choice in map tiles would be nice! And I don't see any reason why we can't have all that's available in the old map. Hi, reading this week's newsletter I gave the new map another try. I see some very welcome improvements, however there is still no option to sort caches alphabetically (useful for series/power trails starting with the same words etc.) and more important there is still no filter for "has personal cache note yes/no". Is HQ working on those features? When might they be available on the new map? These discussions have made this conclusion glaringly obvious to me. THANK YOU, thebruce0, for putting things so succinctly - I was confused as to the differences and your well written post cleared my confusion as to the differences between the two, (I've used both the browse and the search without fully realizing the differences) and I have yet to try the new map (an all in one solution??). 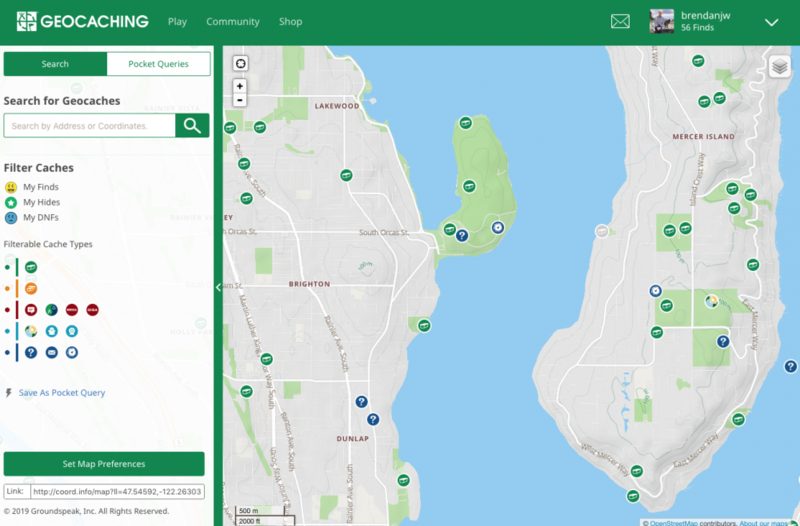 But, as dprovan, I use the main map (View map on geocaching.com) primarily, nearly exclusively, for browsing - show me all the caches in my chosen area, and I will choose those I want to view more fully (in a separate tab!!). Thank you! This is by far the best news I've heard this year! Oh, wait - View Map on the website main menu will still go the Browse map, unchanged? All that's being worked on is the map that comes up when you go to Search? I'll check that out now - I haven't used that much, but with a new understanding of why it is separate, and that it will STAY separate from the Browse map, it may work!! So if you say you're retiring the "Search results map", which exactly are you referring to? First, GS should pay you to explain their new updates. This is the most understandable explanation that has been offered to date. Had one of the Lackeys stated this early on, there would have been much less angst among the users. Thank You! This works! I switched to the "New map" - that I get to by using Search on the main menu, or from the Browse map. I'm a bit confused about the "search Results Map' vs 'Browse Map' terminology. As I understand it, the map in the screenshot in your post is the 'Browse Map' and it is staying available as it currently exists. I agree! Seeing the CO's name would be a great addition to the cache details! I agree with all The A-Team said, but specifically more about the points listed above. When clicking more info and having it load into the same page, and then hitting the back button on the browser, it doesn't use the same search that I had before. For example, If i type in a location to search the area, then click on a cache, then click more info to view the cache page, and then hit the back button in my browser... the search box will now have the cache in it that I clicked on to view. So, while it's technically in the same area as the search performed previously, it's not exactly the same search. So as of now, on a computer, I will be right clicking the More Info button and selecting to open it in a different tab. I also agree, that the Back button is not intuitive. It is not apparent that this is a back button to go back to the search list from the cache details. I just tried your NEW MAP. I selected an area, and then applied the given filters. I added the 32 caches to a list. (It would also be nice to apply a smaller limit to the search, by overriding the "500" -- I have never asked for more than 60 caches in a day). One major problem for me: I usually build pocket queries, excluding certain attributes (e.g. "Tree climbing", "ticks", "boat required", etc. in summer and "NOT winter friendly" in winter). I can't see any way to do this on the new map filters. The list I produced would have to be edited one at a time to drop caches I don't want to visit. If you could include attribute selection in the filters, I would be glad to use it. Otherwise, I will most likely avoid it. If someone has mentioned this already, please forgive me -- I didn't want to read through dozens or hundreds of posts! I have just noted thankfully that at least the More Info button is no longer a form postback, so middle/ctrl-clicking and context menu 'open in new tab' functions do work as expected. So thanks for that (that may have been changed a while back). I just tried your NEW MAP. I selected an area, and then applied the given filters. I added the 32 caches to a list. (It would also be nice to apply a smaller limit to the search, by overriding the "500" -- I have never asked for more than 60 caches in a day). One major problem for me: I usually build pocket queries, excluding certain attributes (e.g. "Tree climbing", "ticks", "boat required", etc. in summer and "NOT winter friendly" in winter). I can't see any way to do this on the new map filters.﻿ The list I produced would have to be edited one at a time to drop caches I don't want to visit. If you could include attribute selection in the filters, I would be glad to use it. Otherwise, I will most likely avoid it. Searching by attributes has never been available on gc.com, the only way to get those filters has been via PQs. But I agree it would be nice to be able to have attributes as an additional filter option.